Almost every weekend this summer we seemed to be packing our bags to head out for the beach or the mountains or to visit family. We were constantly on the road! As autumn rolls in, I’m happy to see that the calendar has us staying much closer to home the next few weeks. 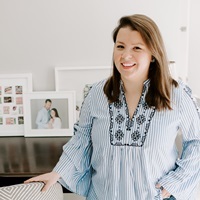 It makes me excited for some cozy Sunday afternoons watching football on the couch, getting ready for Halloween festivities, and finding plenty of reasons to entertain family at home. And for all of those reasons to celebrate, I’ve been thinking about some tasty fall snacks to serve at home. 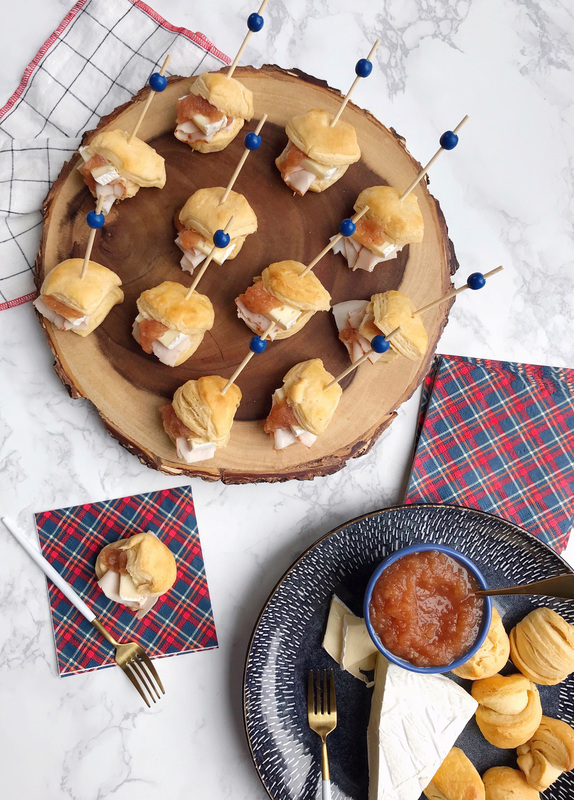 When we serve appetizers at our home now – particularly on fall weekends watching football – I’m always thinking of how I can make things that appeal to a grown-up palette but can also work for kids too. Jane loves standing at our living room ottoman and plucking snacks off our shared appetizer board as we all hang out. 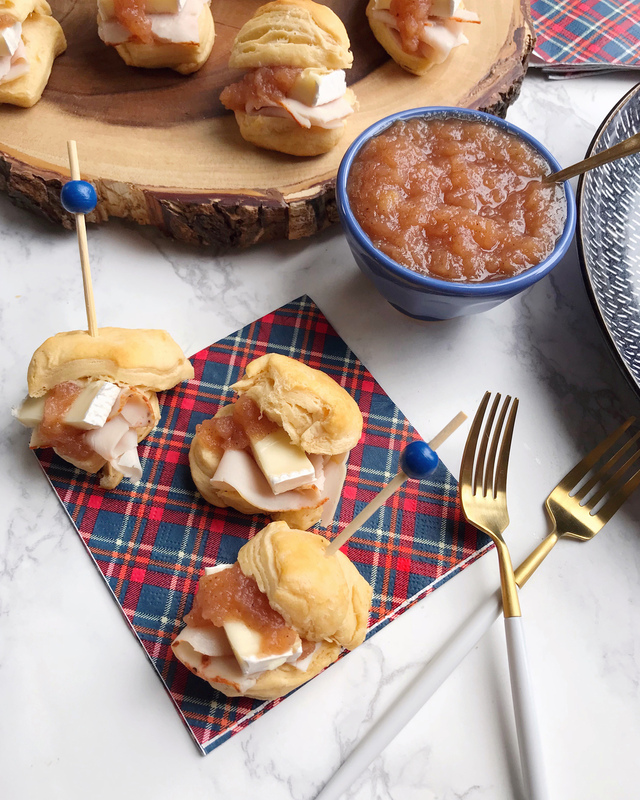 That’s where my idea for this turkey, brie and apple butter biscuit-bite sandwich came from, an appetizer that would be tasty and hearty for adults, but appealing and bite-sized for kids too! To make these little bites I used store-bought dough and cut them into smaller pieces before baking to get mini-biscuits. They’re so tasty when they’re warm out of the oven, so I prepped their fillings to assemble them fresh! Inside each biscuit I layered a piece of McKenzie Oven Roasted Turkey with a slice of creamy Brie cheese, and a dollop of homemade apple butter. The all-natural deli McKenzie Turkey gives the sandwiches a hearty, flavorful element and makes these little bites feel like more than just a snack. I paired it with a subtly flavored cheese like Brie to let the savory turkey and sweet apple butter shine. The apple butter is super easy to make, and can be prepped in advance and stored in the fridge. I love the seasonal apple flavor, and add a bowl of it on the side with extra cheese and biscuits for dipping. If you’re in a rush though, you can also buy a jar of apple butter at the store – many of them have it seasonally! 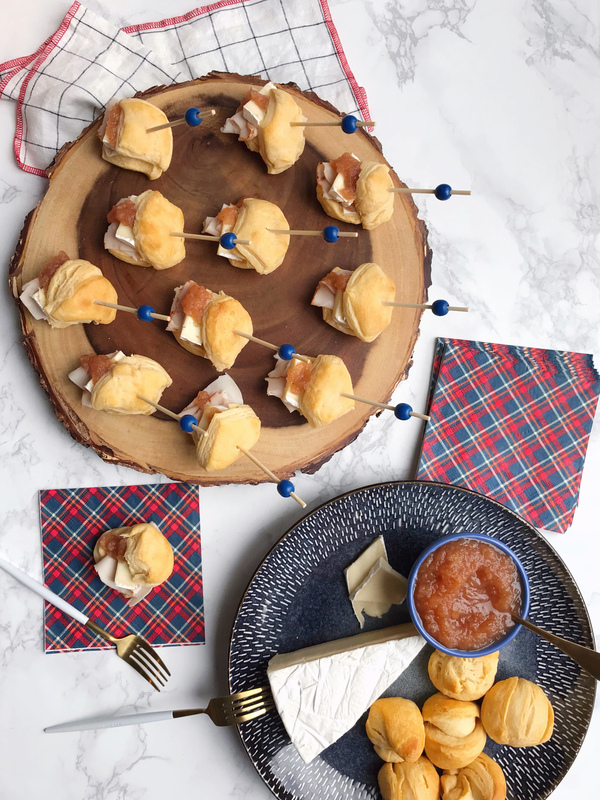 They make a great little snack for fall gatherings and I love how they can work for casual settings like a football game or as more refined passed appetizers for a dinner party. And the leftovers worked for Jane’s lunches too – she loved them! 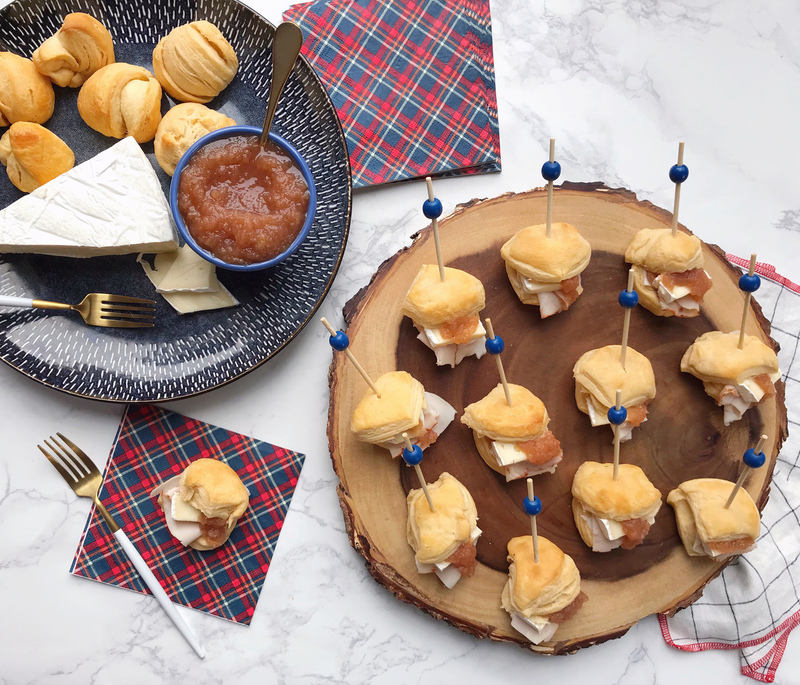 Get the full recipe for these easy turkey, Brie and apple butter biscuit-bites below, and save the recipe for your next fall gathering! Prepare the apple butter in advance by combining the apples (peeled cored and diced) with lemon juice, brown sugar, honey, cinnamon, nutmeg and salt in a pressure cooker. Cook on high for 25 minutes. (If you don’t have a pressure cooker, you can use a crock pot on high for 4-5 hours). Once the cooking time has completed, blend the ingredients together with an immersion blender, or by hand by vigorously whisking and breaking down the pieces. Preheat the oven as directed for the prepared biscuit dough. Cut each biscuit dough into thirds, and reshape into cylinders. Bake as directed and remove to cool slightly before assembling the sandwich bites. To assemble the sandwich bites, cut each biscuit in half. Layer a small piece of McKenzie Turkey with a slice of Brie cheese. Top with a layer of the apple butter and secure with a toothpick before serving. 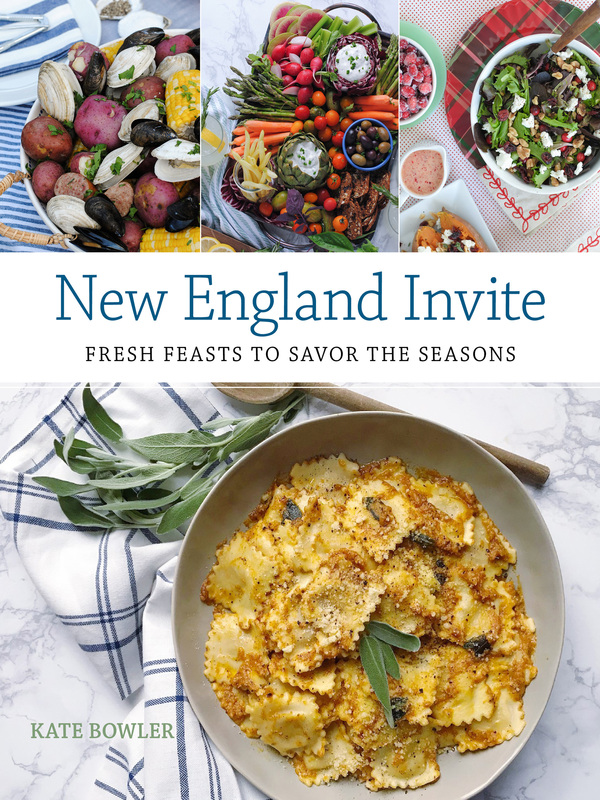 Please note: This post was created in partnership with McKenzie Deli (available at Shaw’s deli counters throughout New England). Thank you for supporting brands that support this site! Baked Garlic and Herb Turkey Meatballs. Hidden Veggies Tricks for Pleasing Picky Eaters.